I love putting together retro-inspired outfits with a modern twist. This look has a Pink Ladies vibe and is still on-trend today. 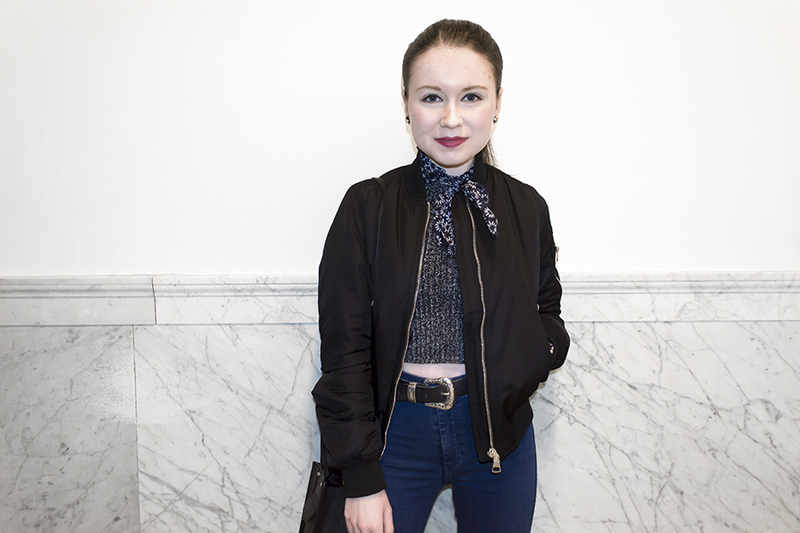 The bomber jacket and silky floral neckerchief paired with high waisted skinny jeans really up the '50s feel. A knit crop top, western belt, and mini bag keep it current. 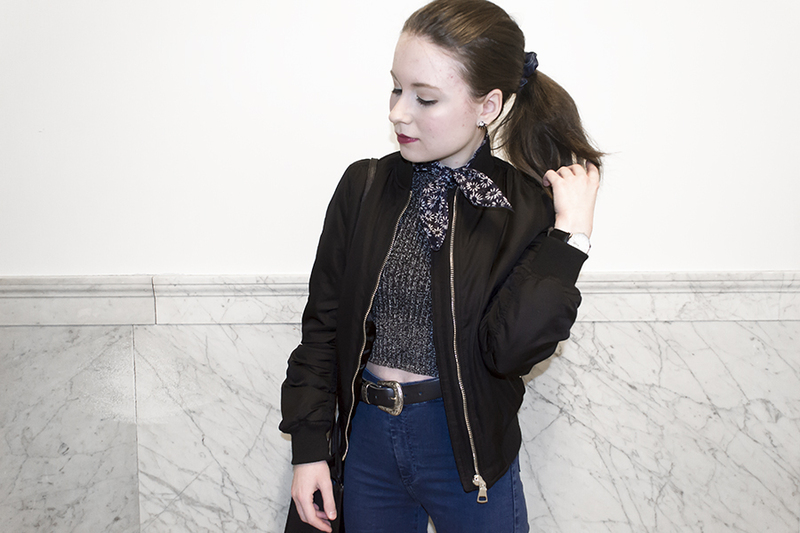 No sock hop-style ensemble would be complete without a high pony. I secured the 'do with a denim scrunchie for '90s nostalgia. Defy the decades, one accessory at a time. Love the edginess of your look.